Any order of $25 or more will also receive a Free Halloween CD, "Haunted Hits", full of the greatest horror songs and sounds of all time! This CD contains 23 tracks including "Monster Mash" - Bobby Pickett "I Was A Teenage Werewolf" - The Cramps "Ghostbusters" - Ray Parker Jr "Werewolves Of London" - Warren Zevon "My Son, The Vampire" - Allan Sherman "A Nightmare On My Street" - DJ Jazzy Jeff & The Fresh Prince plus howling sounds of haunted houses, evil laughs and more! Halloween Free CD Promotion is good while supplies last. Special Note: There have been so few vinyl LPs produced over the last several years that you shouldn't pass up the opportunity to upgrade your collection. They're each very limited in their pressings and disappear with extraordinary quickness from the vinyl market. This causes prices to skyrocket because once they are gone, they are gone forever! Rock Album of All Time! "Francis Albert Sinatra & Antonio Carlos Jobim"
Special Note: Gold particles are uniform and have a constant rate of reflection giving an even, reproductive sound quality. Gold discs also provide a longer playing lifetime because they do not oxidize or tarnish! "Why Can't We Be Friends"
"Take Me For What It's Worth"
With any order over $100 with Mymusicfix, or purchase them individually for $9.99 by clicking on this link, MyMusicFix T-Shirts. The MyAudiophile Fix T-Shirt is also available in Long Sleeve for $14.99, and in a Sweatshirt for $22.99. Sizes for all T-Shirts, Long Sleeve & Sweatshirts are from Adult Medium through Adult XL. Frame your favorite band or album to display as wall art. 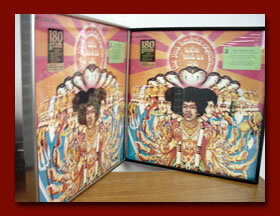 Go to Frame Your Favorite Album and pick any album that we offer; the album will come ready to place up on your wall. 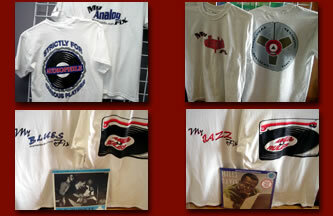 To order these special mymusicfix collections please call 949.454.8577 x 10 or email mymusicfix2@msn.com. To purchase any of the above titles individually go to mymusicfix.com and use our search located on our home page. We accept Visa, MasterCard, Paypal for confirmed shipping addresses & Money Orders. For international customers, please email for shipping rates and purchase by bid pay.